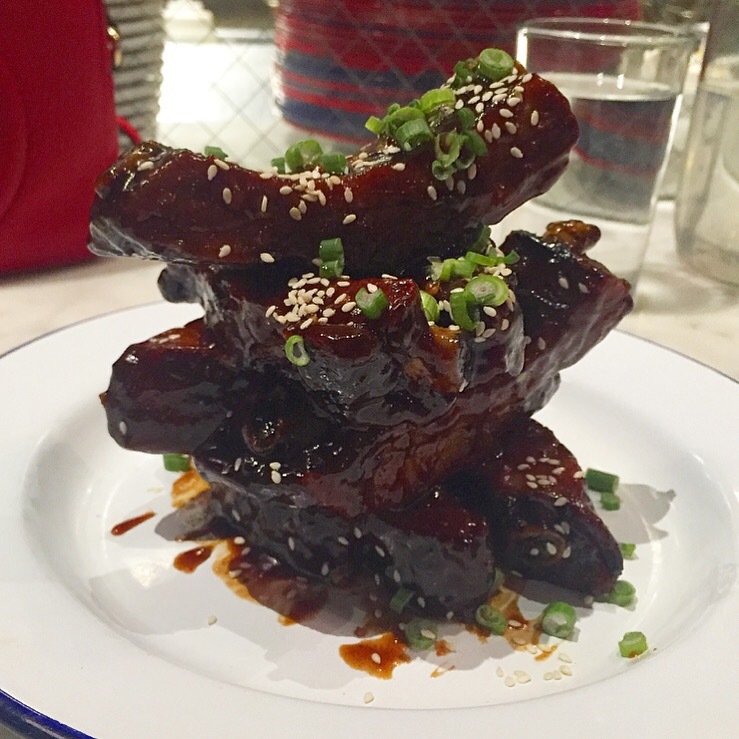 Obsessed and Addicted: Public House – Eat. Rest. Repeat. Once upon a time, I ventured out to Public House when it was in its early stages. I think I visited within the first month it was open, just a few years ago. 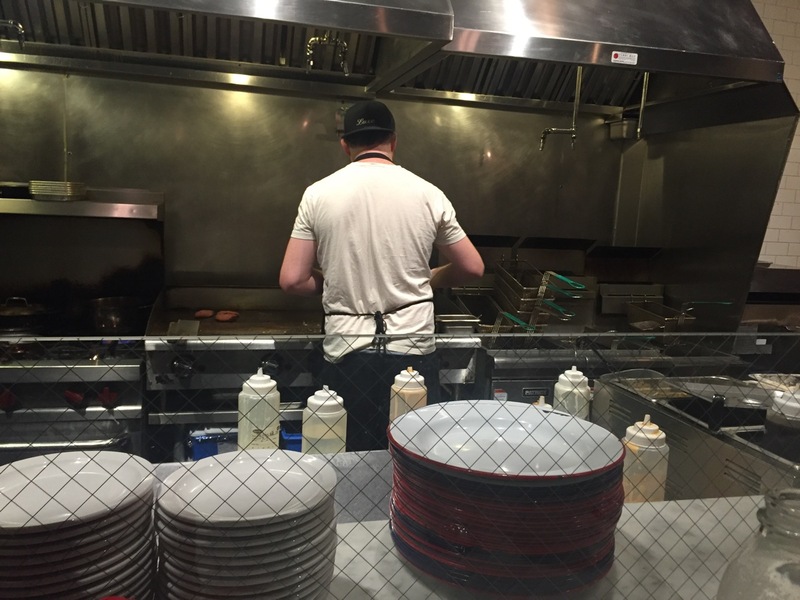 I hadn’t had the desire to go back because the food I had initially was mediocre. It was nothing spectacular, and did not leave me in awe or intrigue. Since then, I have been seeing a lot more buzz surrounding this restaurant on social media, and even via word of mouth. I figured it was about time I give it another shot….and voila! Now I’m obsessed and addicted! I’m embarrassed. It appears I went back in February…and now it’s the end of April. Whoops. 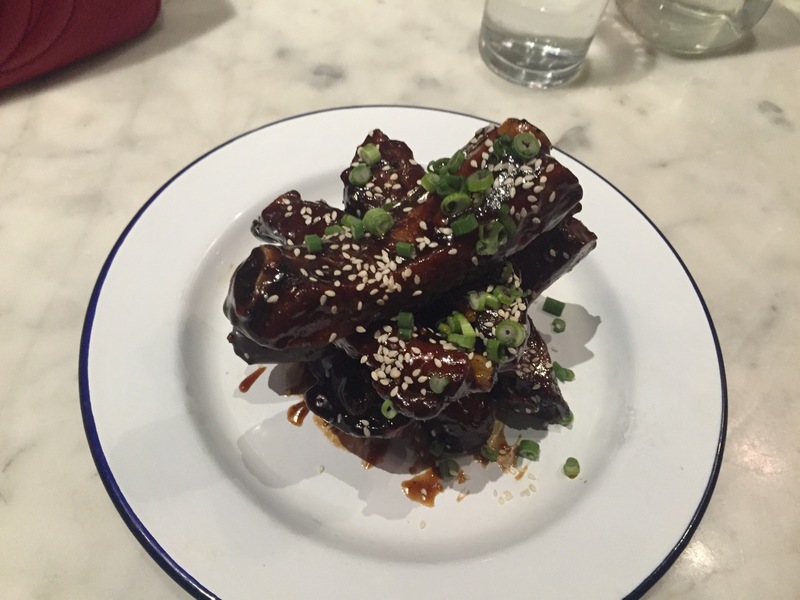 First up: Chinese Sticky Ribs. YUM. When I saw this on the menu, my eyes brightened with excitement. Could it be, that a local eatery in Ferndale had the balls to put a Chinese comfort food on their menu!? I was highly impressed with the execution of this dish. It was sweet, spicy, tender, with hints of Chinese spices. Delectable. Comforting. Just right. So in the month of February, I had gone to the dentist 6 times. Long story….I had a lot of dental work done, and my jaw was in quite a bit of pain to say the least. 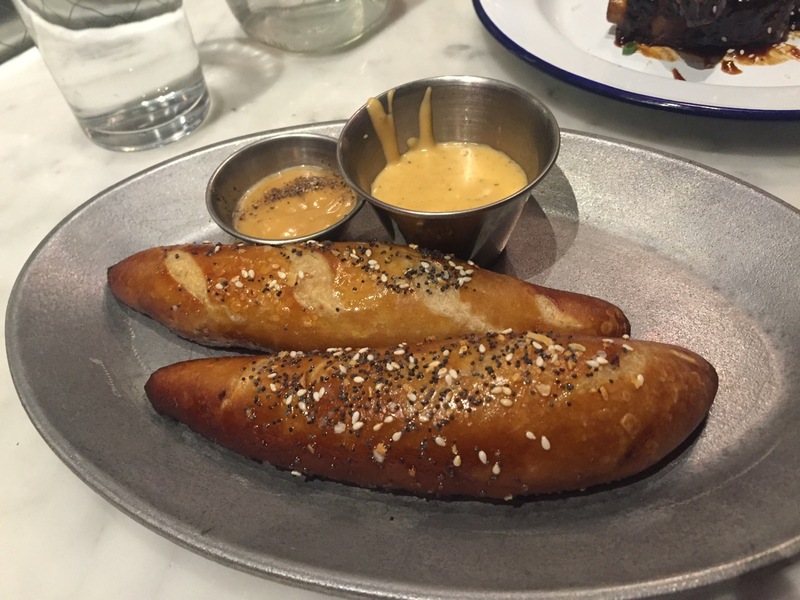 The weird thing is that I had been craving pretzel bread with cheese dip the whole week…and to my surprise, it was a menu option, so I HAD to order it. It was a sign. OBVI. These giant pretzel sticks were a little tough to chew with my sensitive teeth…but too good to stop eating. Legit. As painful as it was to chomp through the bread, it was well worth it. Ah yes. Crudo. The all too trendy food at the moment. I don’t know why crudos are all of a sudden popping up on menus everywhere, but I hope it’s not just a fad. I have always appreciated a good crudo and always look forward to trying innovative renditions. This one in particular had a lot of familiar flavors that I love. 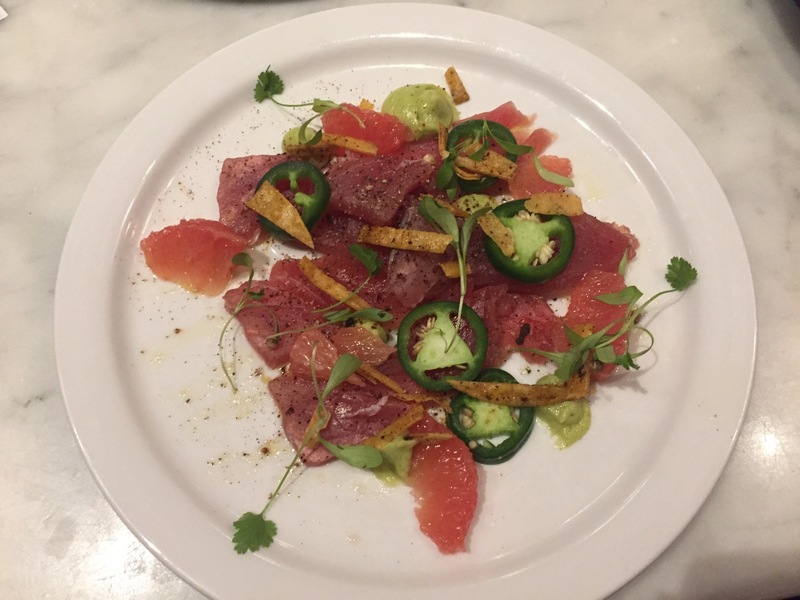 Citrus from the grapefruit, spice from the jalapeno, refreshing cilantro and avocado, with fresh slices of raw fish. I hate to say that they played it safe with those flavors, but hey, it works. It was a special they had going on for that week, but I honestly think they should consider putting it on their permanent menu. What is this supposed to feed, a small rabbit? Just as I wrote that, I had a flashback of Zoolander’s reaction to the architectural model of The Derek Zoolander Center for Kids Who Can’t Read Good. Back to the lobster bun. It was delicious and rich, and I thought it was outstanding! 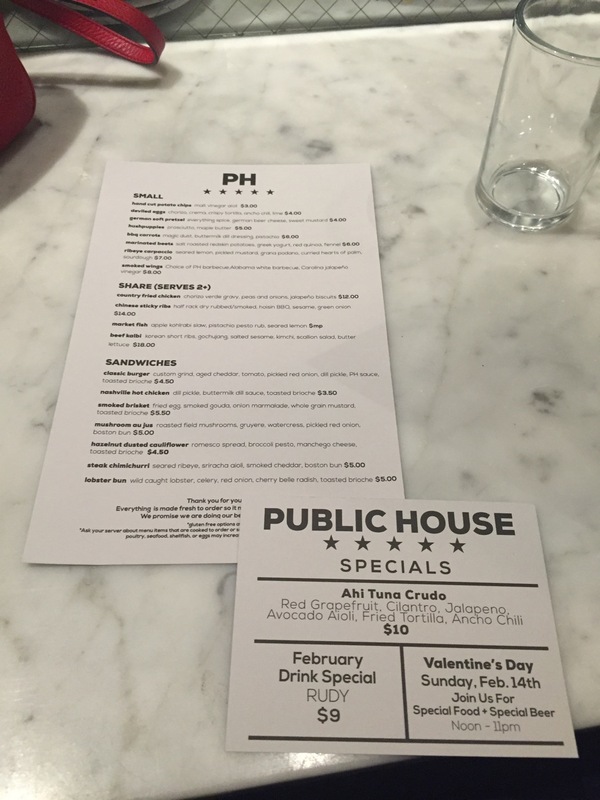 The previous time I had been to Public House, you know….that one time that didn’t spark any interest in future visits…was as a result of another one of my cravings. I had been wanting a lobster roll [not the sushi kind]. A full bodied east coast type of lobster sandwich. 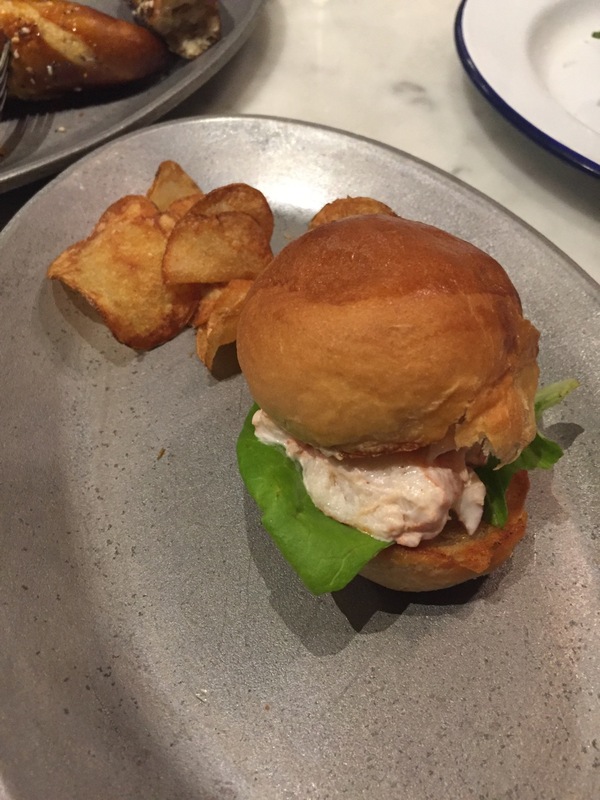 Public House was by chance advertising on social media that they had come out with a new lobster roll. Naturally, I had to drop everything and go IMMEDIATELY to satiate my craving [okay, that may be an exaggeration]. On that fateful day, I went, I ate, and never looked back. That one lobster roll experience was enough for me to check this place off my restaurant list. This “lobster bun” MORE than made up for the previous experience. My only criticism is that it should be a full sandwich and not just a “bun”!